A rustic Christmas tree, inspired by nature, in the dining room with dried fruit, pinecones and cotton. 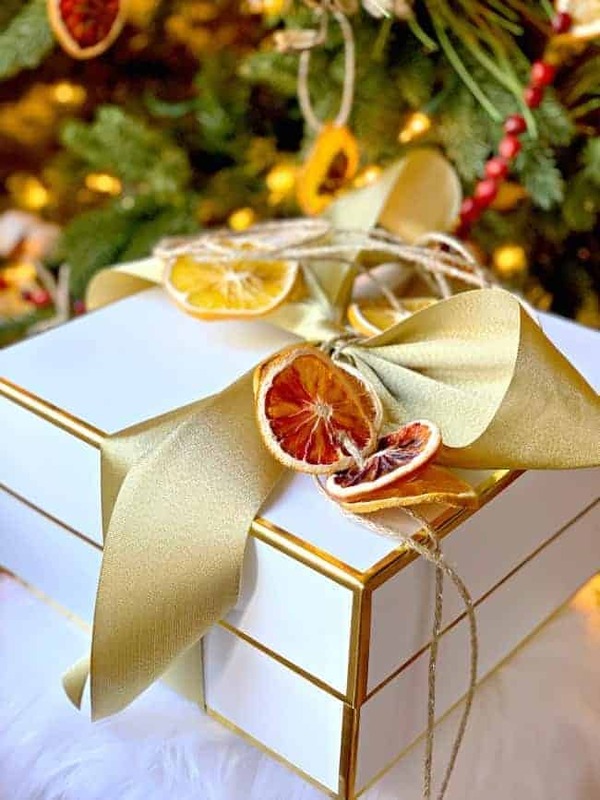 Are you ready for more Christmas decor? 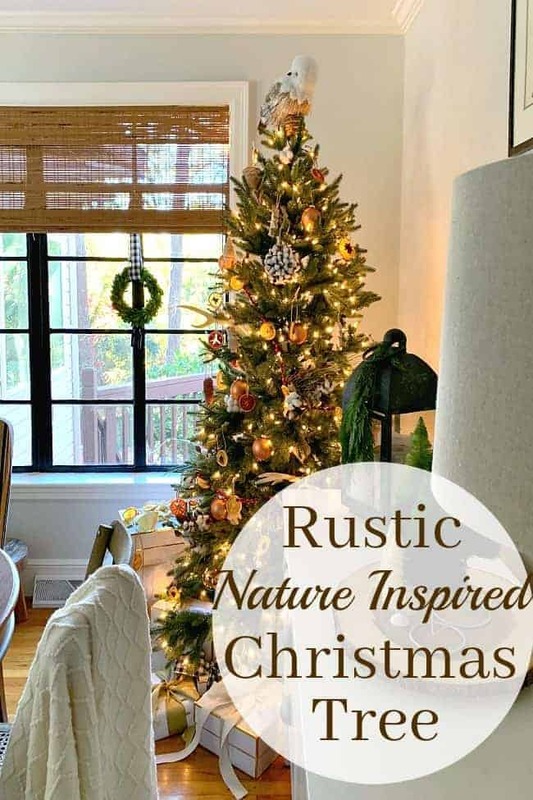 Earlier in the week I shared our traditional red and green Christmas sunroom, but today is all about our rustic Christmas tree in the dining room. 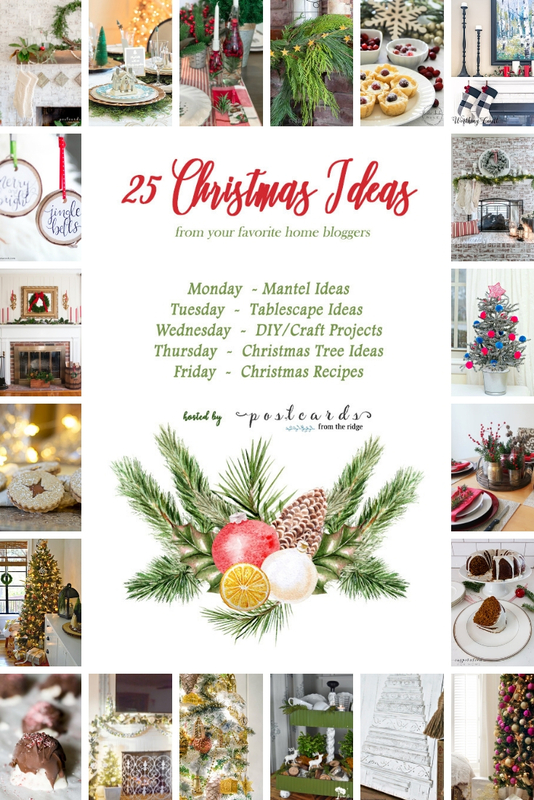 I’m joining in with some of my blogging friends for a Christmas Ideas tour. 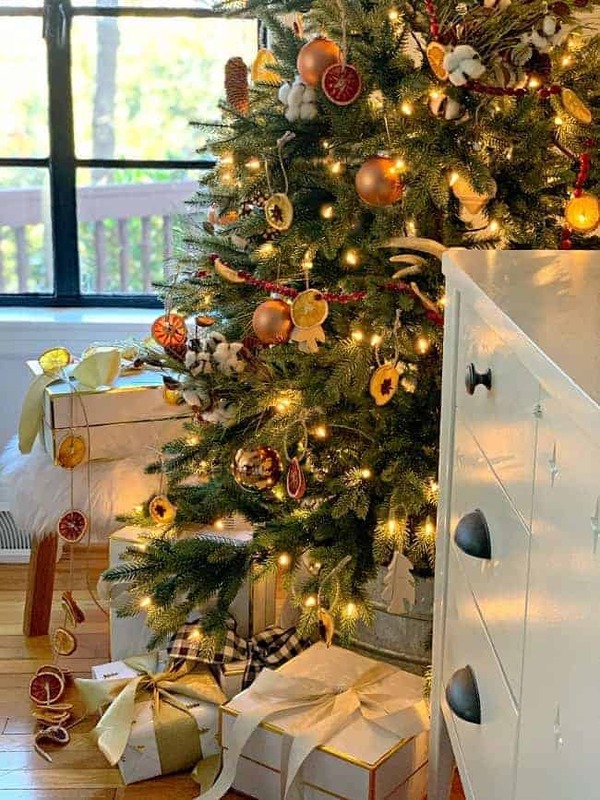 Angie, Postcards from the Ridge, is hosting this fun holiday event where you can find holiday mantels, trees and more all this week. 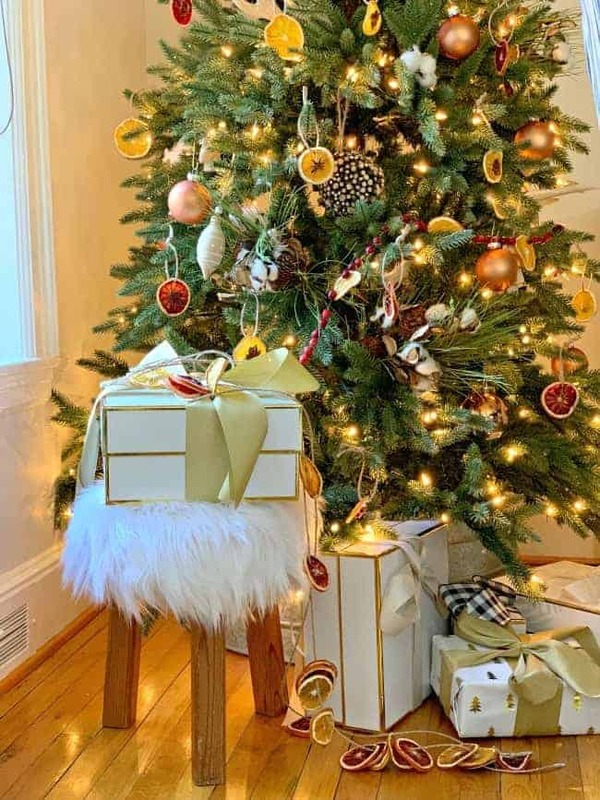 The theme for today is Christmas trees but there’s tons more to see so make sure you check it out at the bottom of the post. I may have had trouble figuring out how to decorate the new flocked tree in the sunroom but the dining room tree was easy. 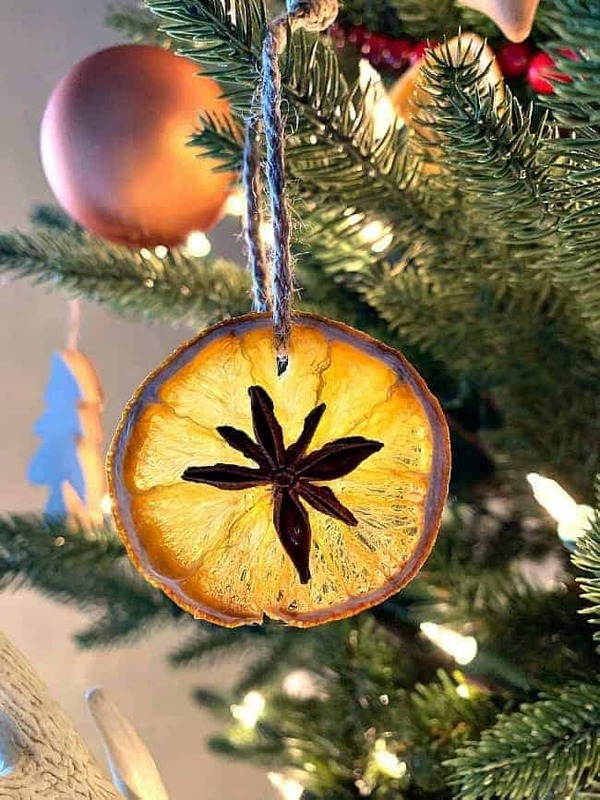 I really wanted to use dried oranges in my holiday decor this year so it all came together from there. A country Christmas tree with lots of my dried orange slice ornaments, pinecones and cranberry and orange slice garland. I did add a few wooden ornaments and rust colored balls but it’s all nature inspired. Oh, and it was nearly free (except for the $5 bag of oranges). Everything you see was either made by me or came from our holiday stash. 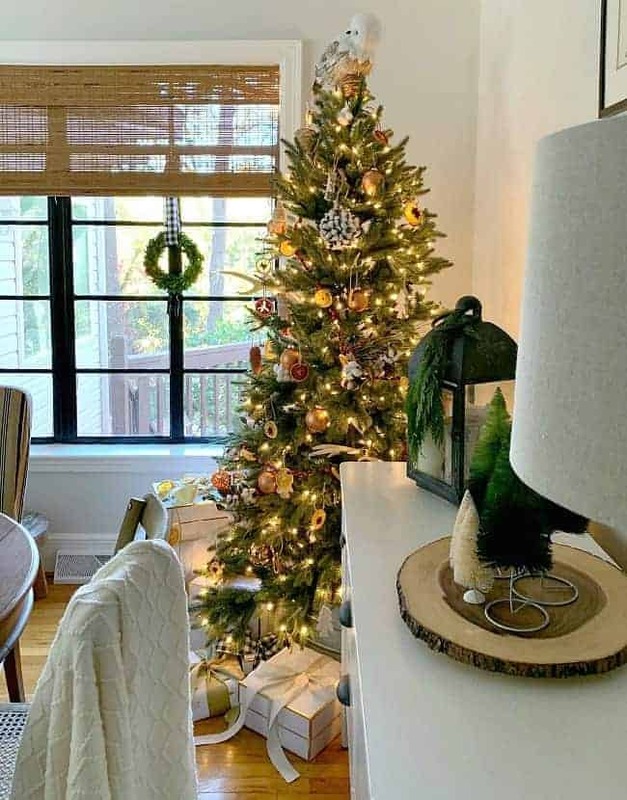 What about having a tree in the dining room? I struggled with that the first year we lived here but I got over it…eventually. We’ve always had a tree in the living room in our other houses so it felt strange to not have it there in this house. Now I love it here. Not only can you see it right as you walk in the front door but it also adds a gorgeous holiday glow to our dining area. There’s nothing better than dining by twinkling tree lights. The rest of the room got the same nature inspired treatment as the tree. 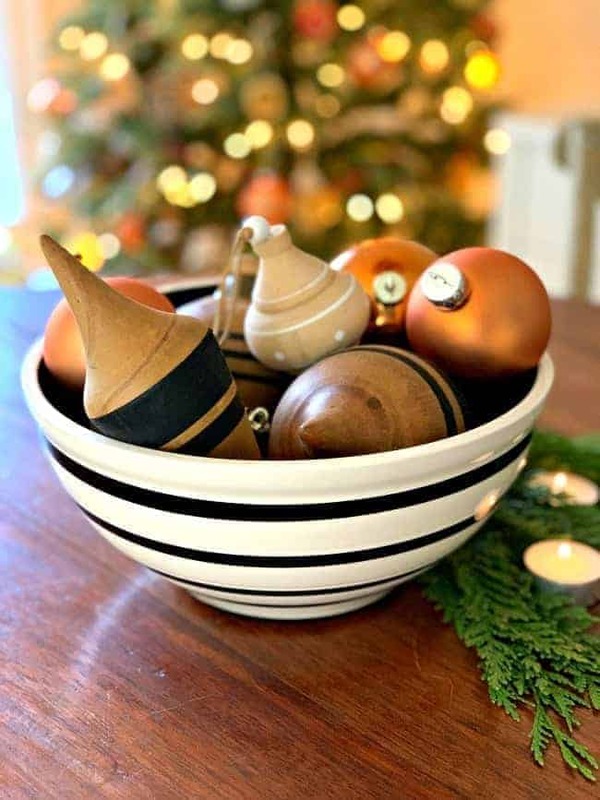 I just placed some wooden ornaments and dried orange slices in a bowl for the center of the table. Simple but pretty. Have you started decorating (or baking) yet? I love the idea of having a tree in the dining room. The dried orange slices are gorgeous! 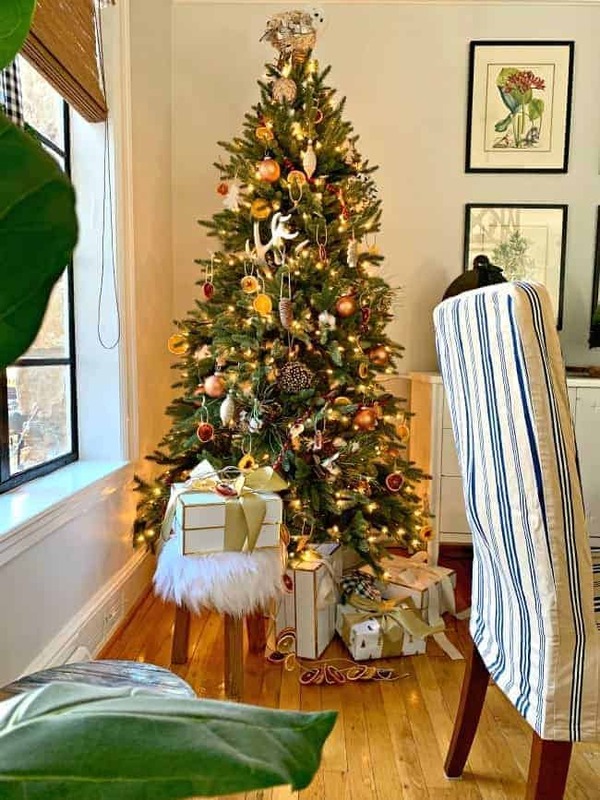 Your tree looks perfect….adore the nature-inspired theme! Your tree is absolutely charming Kristi, and I’ll bet it smells amazing! It does smell amazing. 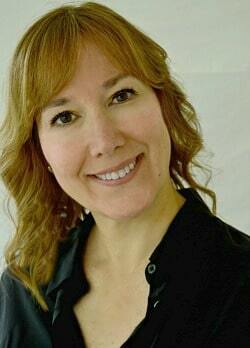 Thanks so much, Cindy! LOVE the orange garland inspiration. Beautiful tree, Kristi. Let’s have coffee and cake. I’ll bake. LOL..
I’m always up for coffee and cake. 😉 Thanks so much Susie!